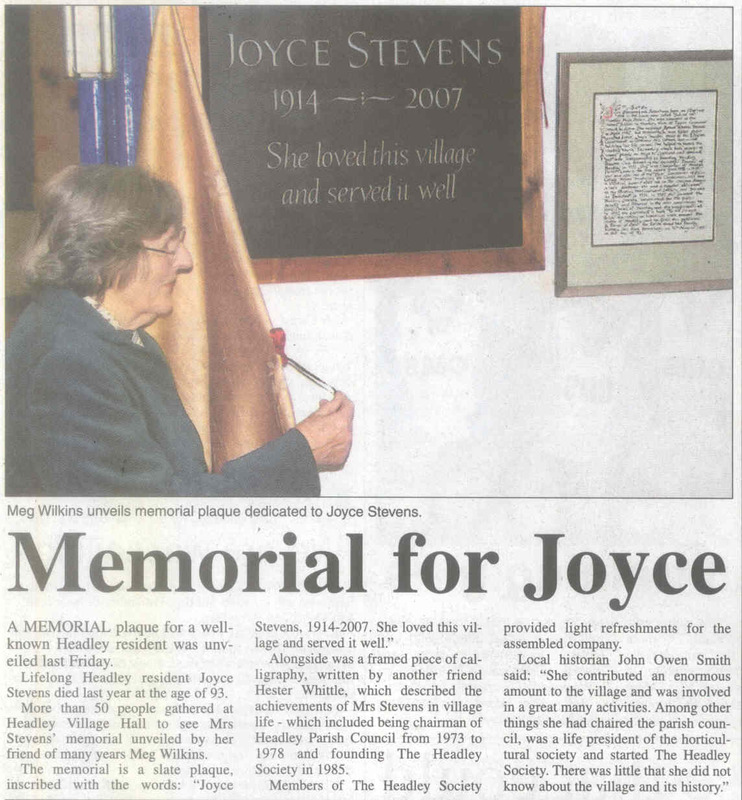 Joyce Stevens who died in August 2007 aged 93 was a unique person, whose father was born in the house in which she herself was born, and in which she lived the whole of her life in Headley. 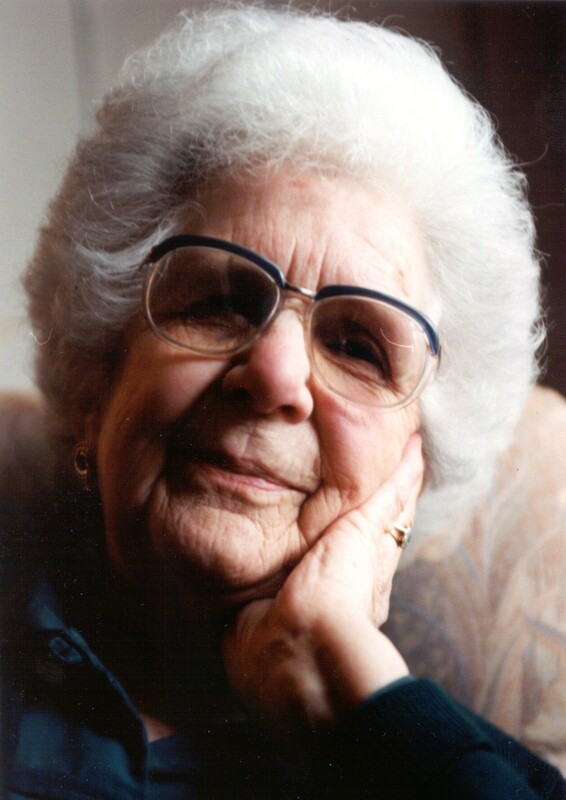 She contributed an enormous amount to the village and was involved in a great many activities. Among other things she had chaired the Parish Council, was a life President of the Horticultural Society and started The Headley Society. There was little that she did not know about the village and its history. She had also been Head of English at Woolmer Hill School, and was one of the first Governors of Alton College. We are unlikely to have such a person as Joyce in our midst again. 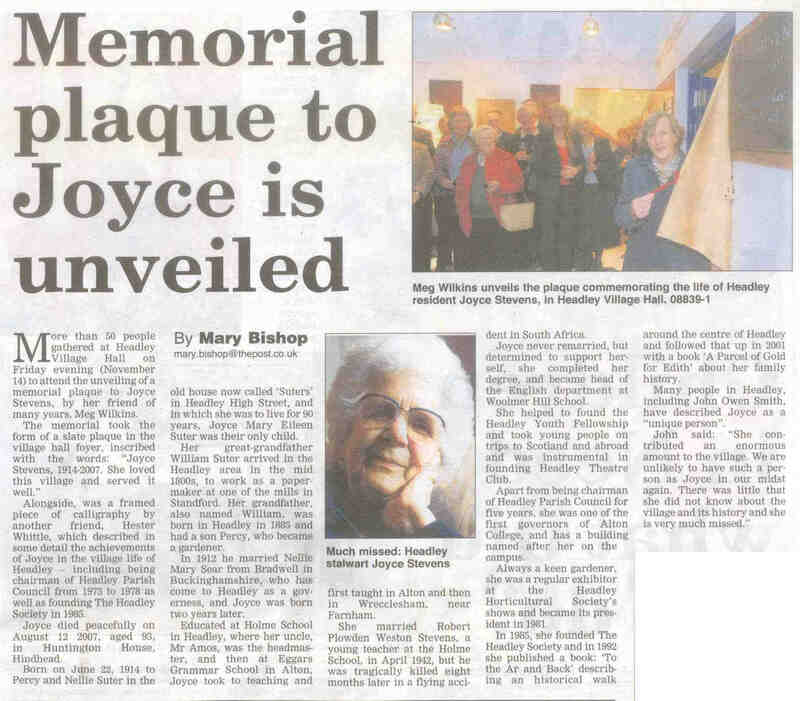 As a permanent commemoration of her life and as an example of what community service really means, representatives of various groups with which she was involved felt it would be appropriate to have a permanent memorial to her memory. They decided that this should be a stone, cut by a distinguished local stone mason and should be installed in the foyer of the Village Hall. Beside this would be a framed commentary on all the activities with which she was involved. The calligraphy for this has been done by Hester Whittle, who is internationally known for her work in this field. An appeal opened for all who might wish to contribute to funding the memorial, and sufficient money was obtained in this manner.